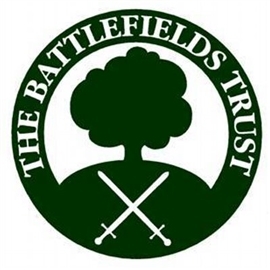 The Battlefields Trust is pleased to announce that the 2018 Richard Holmes Memorial Lecture will be delivered by Professor Peter Gaunt, well known specialist in the mid –17th century, and author and editor of many books concerned with various aspects of the civil war. The lecture which is being generously hosted by the National Army Museum, Royal Hospital Road, Chelsea, London SW3 4HT will be on Saturday 13th October commencing at 2.30pm. After allowing half an hour for questions and discussion it is planned to finish at 4pm. The Lecture will focus on the role of Chester during the main Civil War when, after an initial period of uncertainty and disengagement, the county town became a major Royalist stronghold and garrison - and remained so despite repeated parliamentarian attempts and lengthy siege operations to capture the city. More broadly, it will look at the part played by a garrisoned county town and regional capital in a county which was divided for most of the war and also consider aspects particular to its location on the border of England and Wales. Above all, it will look at the role which Chester played as viewed from both royalist and parliamentarian perspectives and will contrast the (often startlingly different) priorities accorded to Chester by local commanders, by the regional war efforts and by the high commands in London and Oxford. Tickets for the lecture are free and should be booked from 14 September through the National Army Museum Website www.nam.ac.uk/whats-on. A limited number of tickets will be available on the day. The Café, Museum shop and Museum Collection will be open as usual on the day. Please do mark your respect for the outstanding contribution made to military history and battlefield studies by Richard Holmes by attending this thought provoking lecture.